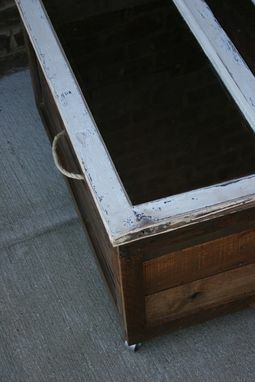 We call this the beach house coffee table simply because it looks great in the pool house or of course the beach house. 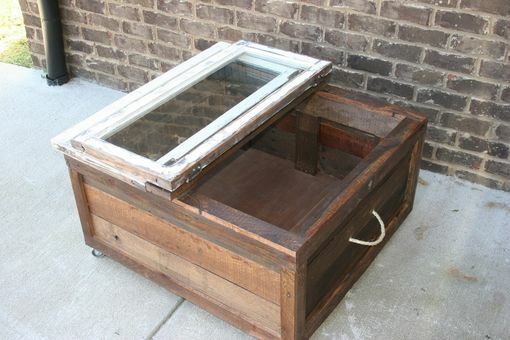 Completely made of salvaged material including the windows. Each piece would be unique and one of a kind. 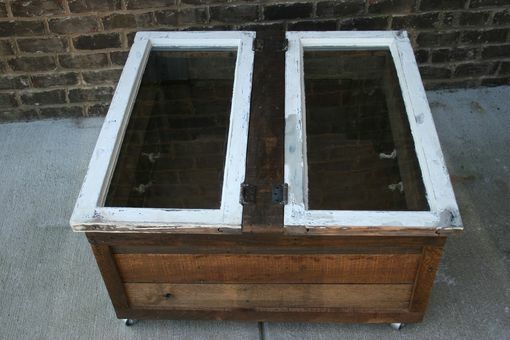 The windows and even the hinges are from an old house in TN. 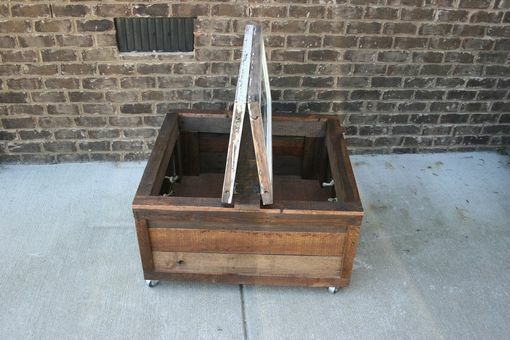 Provided with 3" casters and pull rope on each side you can easily relocate to the perfect location.